Junior World Champion in 1963 and 9 times Romanian Champion. In 1965 at the age of 21, he won the title of youngest GM and in 1966 he win against Bobby Ficher at the Havana Olympics. 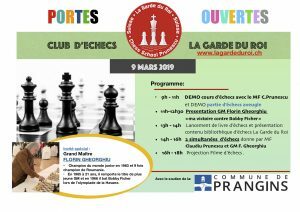 16h – 18h Chess Movie Projection (surprise).